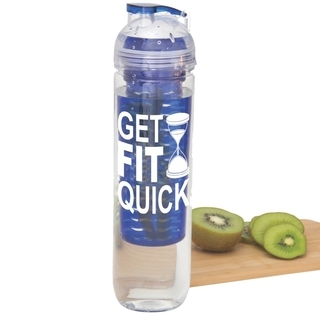 Want to add some flavour to your water...then you need Flavours Water Bottle. Simply add your favourite cut fruit into the fruit holder, and wait for the flavour to infuse with the water. Made from BPA free materials and printed with your logo, this bottle makes the ideal gift.Available in charcoal and blue. Screen printing colours are restricted to White, Silver or Black.